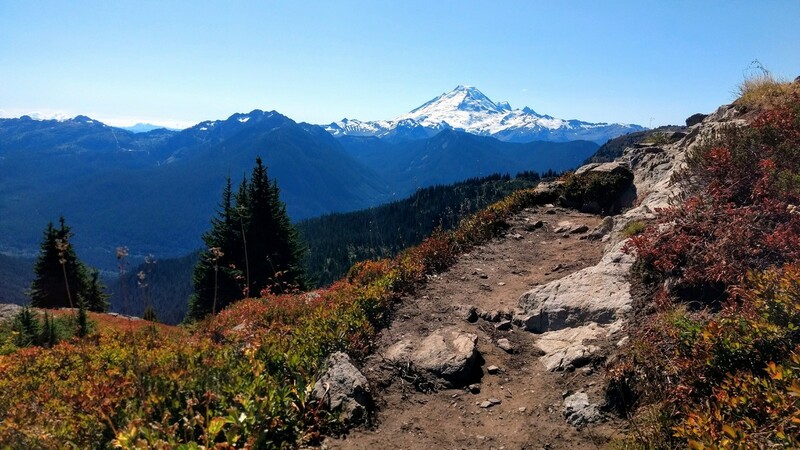 The Yellow Aster Butte hike has summer wildflowers, fall colors, twinkling tarns and 360-degree mountain views. 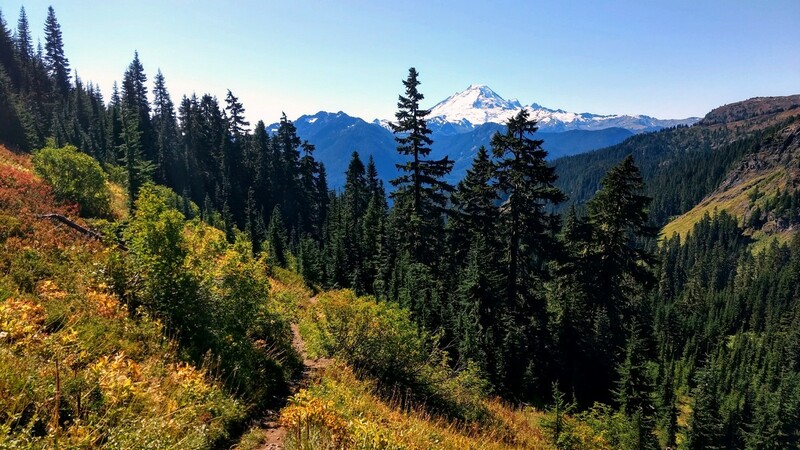 All that adds up to Yellow Aster Butte being an undeniably spectacular trail in the Mount Baker region. 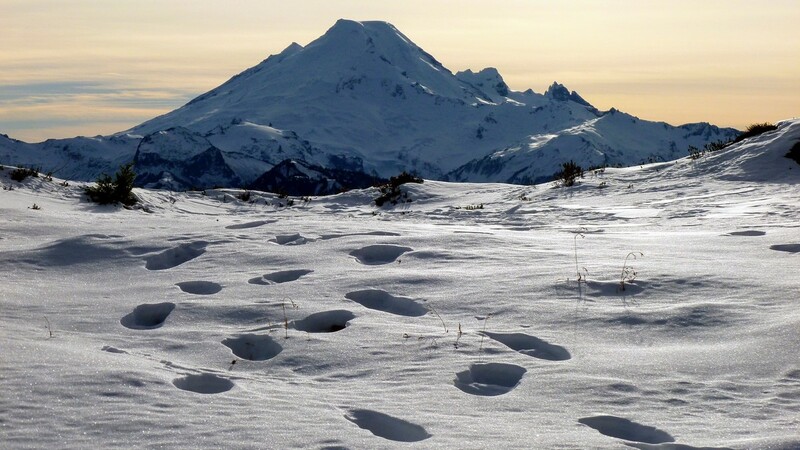 From Glacier, drive east for 20.9km on Mount Baker Highway (milepost 46). Turn left at Twin Lakes Rd. 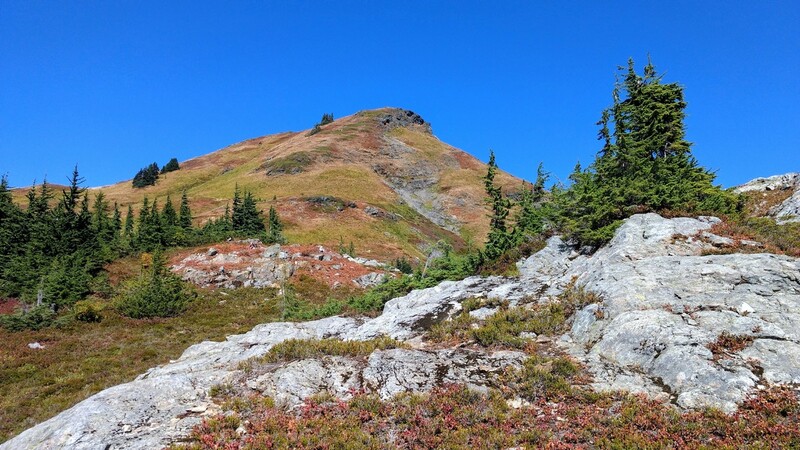 Follow Twin Lakes Rd for 7.2km to the signed trailhead. 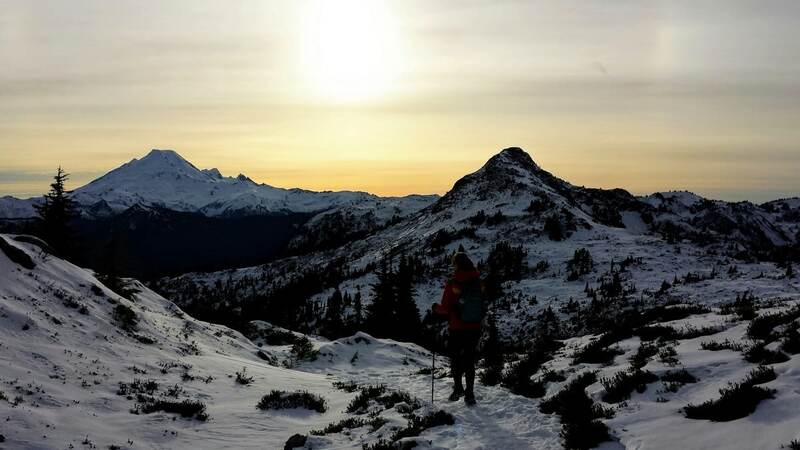 A Northwest Forest Pass is required. 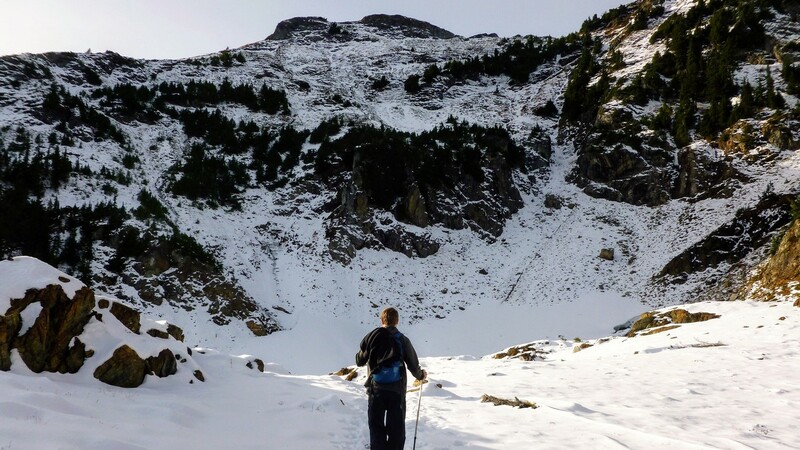 A challenging and rewarding ascent is what you’ll find at Yellow Aster Butte. Begin by securing a parking spot along the road (there is no actual parking lot), then find the signed trailhead and restroom. The trail begins climbing immediately through the forest, gaining 274m in the first 1.6km. At 2.6km, stay left at the signed junction. 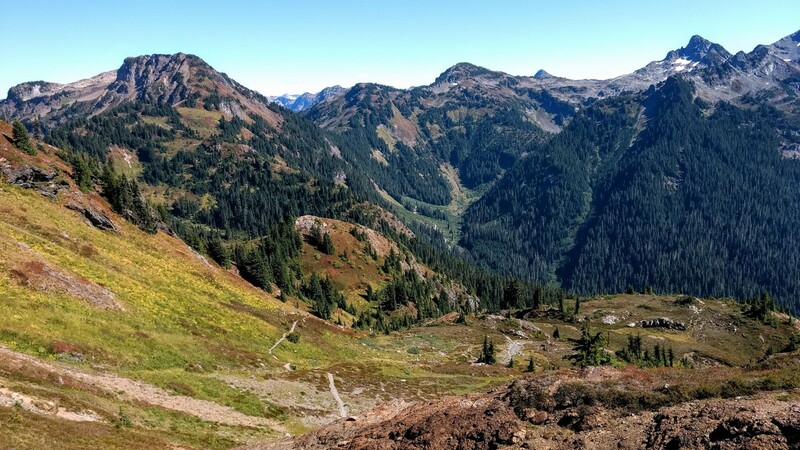 Views open up as the trail transforms to meadows. The path arcs north, then west, then southwest, following a relatively flat contour for the next 1.3km. 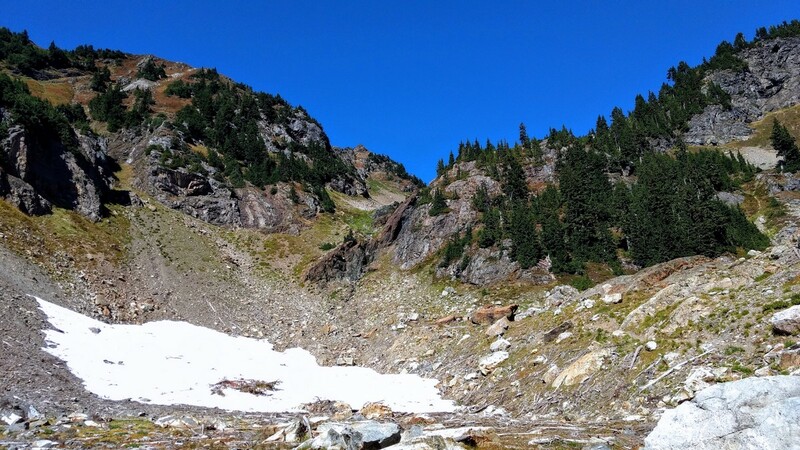 At 3.7km the trail drops into a bowl, where a permanent snowfield melts under the sun – creating a series of braided streams. This is a nice spot for a break before continuing the climb. After crossing the streams, continue gaining elevation to an unsigned junction at 5.3km. 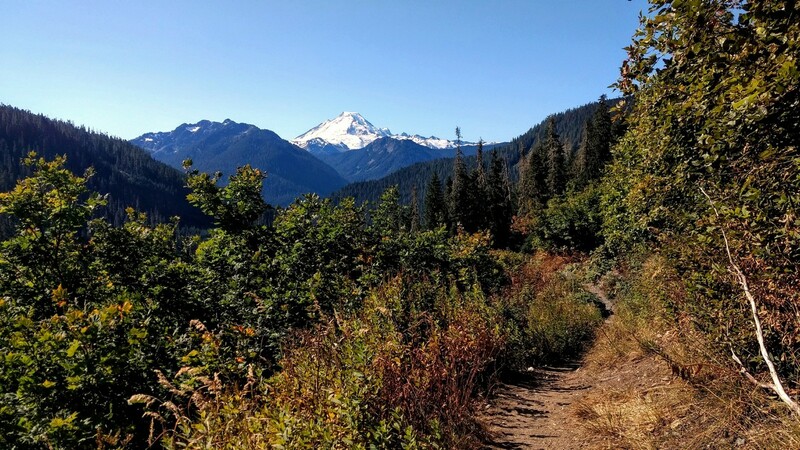 Turn right (east) to make your way up Yellow Aster Butte. The path to the left drops down to a picturesque collection of tarns before eventually climbing to Tomyhoi Peak. The tarns are a popular camping area. 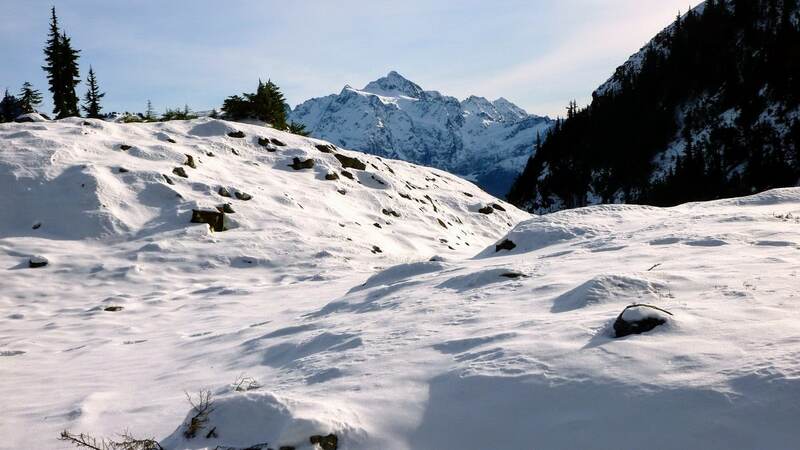 Camping is only allowed on snow, rock, or the bare ground, as the meadows here are very fragile. The final push to the summit gains 122m in a 0.4km. This is by far the steepest section of trail, but it’s well worth the effort. 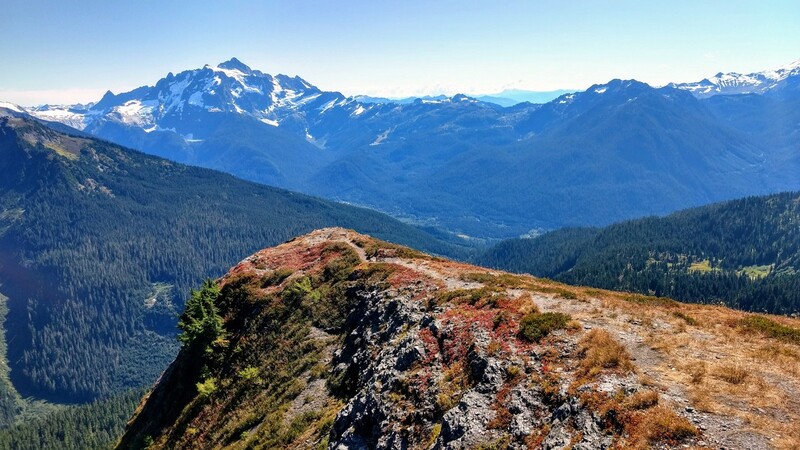 At the top, victorious hikers are rewarded with views north to Canada, the border peaks, and rusty Mount Larrabee. 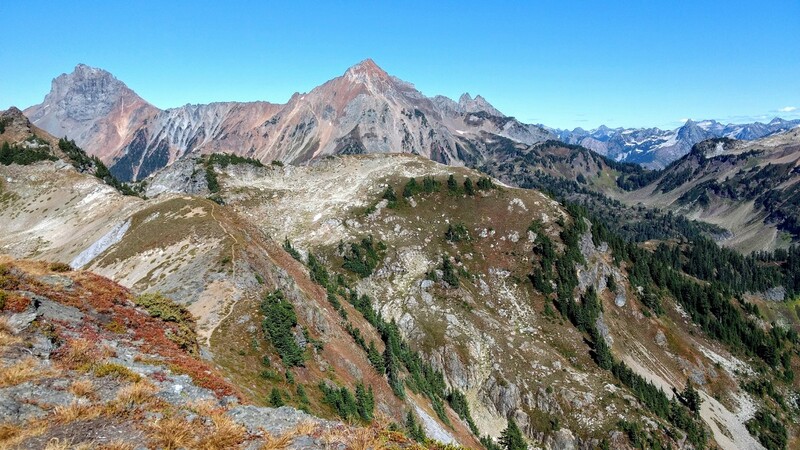 Winchester Mountain rises to the east – bring binoculars to spot its lookout tower. 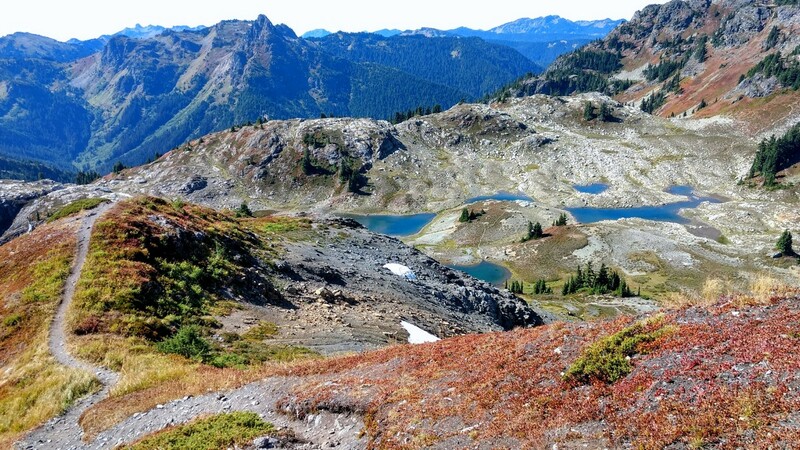 Turn to the southeast to see Goat Mountain, Mount Shuksan and Price Lake. 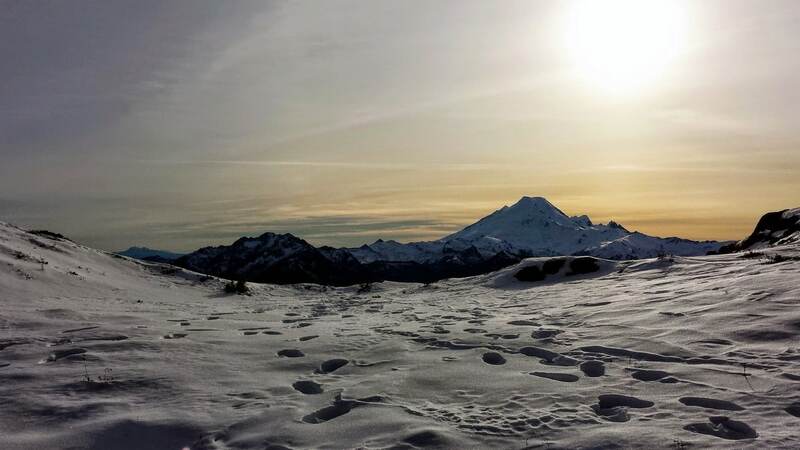 Mount Baker rises coolly to the southwest. Finally, Tomyhoi Peaks completes the panorama. Once you’ve had your fill, return the way you came. Trekking poles are encouraged here, especially for the descent. For another nearby adventure, follow the rough Twin Lakes Road up to Twin Lakes (high clearance and 4WD suggested). 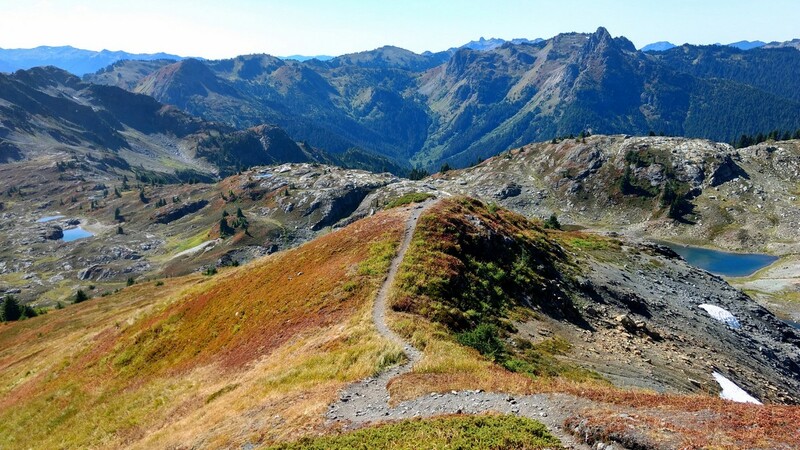 Then hike the trail to Winchester Mountain Lookout.